When you’re seeking the ideal career for your talents, skills, and interests, it can be challenging to amass the necessary motivation and experience to succeed. Following your dreams isn’t easy, especially if you run into physical and mental obstacles along the way. However, no matter the challenges you face, you can look to the world-renowned physicist Stephen Hawking as an example of what is possible when you’re pursuing your dream. Shortly after graduating from college, Hawking was diagnosed with ALS, a degenerative disease that weakens the muscular and nervous systems over time. He was confined to a wheelchair and given less than three years to live. This prognosis was delivered in the 1960s, yet Hawking has survived to the age of 75 years old today. Hawking may be confined to a wheelchair, and he may have lost his ability to speak, but neither has prevented him from making significant contributions to the field of physics. Hawking has written several books and has won many awards for his work. When Hawking lost his ability to walk, move, and speak, he turned to tools and resources to compensate. 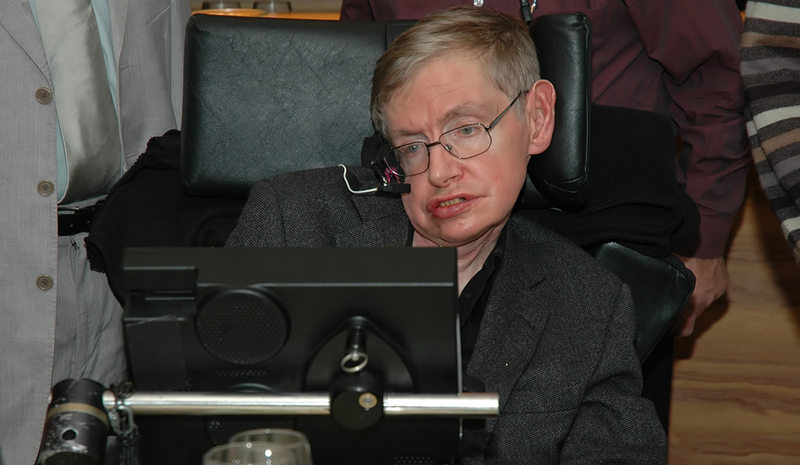 Hawking uses a state-of-the-art wheelchair and speech synthesizer, which can move and talk for him based on the movement of his cheek muscles. Though you may not experience in your life exactly what Hawking did, the lesson is clear: Even if it feels like everything is working against you, there are tools and resources out there to help. All you have to do is find the right ones and use them smartly. Thanks to his determination to overcome the obstacles in his way, Hawking has been able to pursue his dream career in physics. When you pursue a job that sets your soul on fire, don’t focus on what you can’t do. Instead, focus what you can do. For example, you may only have a few minutes a day to hone a special skill, but you should that time that to its greatest potential. Obstacles are but a stepping stone on the path to what you want. Rather than get caught up in bureaucracy and pageantry, Hawking chooses to focus only on what’s important to him. For example, he turned down an offer of knighthood over concerns about how the U.K. government handles scientific funding. If you have a passion for something, don’t let it be swayed by money, fame, or other outward temptations. Talent and passion should be the motivating factors that keep you happy on your career path. Passion will carry you to success. “However difficult life may seem, there is always something you can do and succeed at,” Hawking once said. These words constitute something of a theme for Hawking’s life. Despite the heartache, disappointments, and obstacles, Hawking derives satisfaction from what he has been able to accomplish. When you’re searching for the job you’ve always wanted, don’t dwell on facets of the effort that get you down. Instead, revel in the talents and abilities you have. Focusing on the positive got Hawking through some of the most difficult periods of his life; you, too, will find that you thrive more on positivity than pessimism.